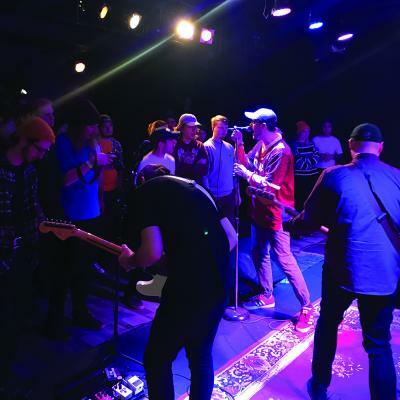 Edinboro's premier emo/rock outfit, Mallory Run, are returning to Erie, playing for the first time ever at The Ballet Haus. Mallory Run breathed new life into Erie's music scene with their 2016 self-titled EP and 2018 EP Spin, released on Wilhelm Records. Their expert songwriting and guitar work, along with memorable lyrics and catchy hooks, make it impossible to stand still at one of their shows and has helped them build a solid local fanbase. Now the band is back in the studio, and may be giving some new songs a test run. "We haven't put together a setlist yet," said Mallory Run's singer, Dan McClune, "but there's a very solid chance that we play a new tune or two". McClune included that the new songs will be released as singles, and hinted at the possibility of another upcoming EP. Next on the bill are pop-punk band and former tourmates Dead Fall from Kent, Ohio. Dead Fall released Never Expected this past January, an energetic five-track EP recommended for fans of aggressive yet melodic pop-punk bands like Such Gold and The Story So Far. The title track slows down the tempo, but not the intensity, giving more variety and emotion to the EP.